← Surely I’ve read more?? 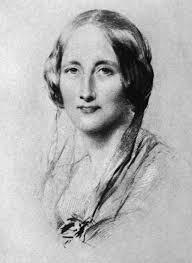 How could Elizabeth Gaskell do this to me? Seven hundred pages into Wives and Daughters (published in 1866) and her tale of life in a provincial English town came to an abrupt halt, leaving me with too many dangling plot lines. It was very inconvenient of her to go and die before finishing this novel; couldn’t she have just hung on a week or so? She could easily have wrapped the whole thing up in another 10 pages at a pinch. Fellow writer Frederick Greenwood tried his best at picking up where Mrs Gaskell left off but for all his skills, he couldn’t rise to the occasion. I’m not so much bothered that I didn’t get to find out if the heroine Molly Gibson, managed to make it to the altar with Roger, the Squire’s son that she’d adored for years. Or if this sweet-natured doctor’s daughter also got rewarded for her loyalty to her friends and all her selfless acts of kindness. What disappointed me more was that Mrs Gaskell left me wondering whether she would deal out some justice to Molly’s egocentric, socially pretentious stepmother Hyacinth. She was quite the most delicious character in the whole novel, bringing a spark to all the scenes in which she appeared. We first meet her as the impoverished owner of a small school, desperately trying to make ends meet and maintain certain genteel ways. She quickly spies a way of out her predicament in the shape of Dr Gibson, a well-respected widowed doctor, that she sets about ‘improving’. The comfortable life and companionship once enjoyed by Dr Gibson and Molly are brought to an end once Hyacinth gets her way. Hyacinth starts by redecorating the doctor’s home and progresses to refinements such as moving the time of the main meal from the countryside norm of midday to six o’clock in line with the practices of London society. The doctor even finds his favourite diet of bread and cheese is banned, replaced with the more refined French recipes and delicacies that the cook, more used to staple fair, always manages to ruin. Hyacinth is a woman whose desire to rub shoulders with the great and the good overcame any maternal feelings towards her own daughter Cynthia. In her early years the poor girl was often left at home alone while her mother went hob-nobbing with the titled family for whom she was once a governess. Subsequently packed off to school in France, its not surprising that poor Cynthia turns out a vain, empty-headed flirt unable to form any meaningful relationships with men. Even Molly’s influence can only make a marginal impact on this girl. What we have in Wives and Daughters is a collection of perfectly drawn characters within a narrative that charts the story of a young girl’s growth and the influence of her life on those around her. It’s not a historical novel but Gaskell deftly gives details that locate her action in the late 1820s-30s at the cusp of some momentous changes in English society. England is at peace with France though there is still bitterness and suspicion towards the French, the balance of power is still with the landed families and the protocols surrounding social calls is still prevalent. But Gaskell shows change is in the wind – the railways are starting to emerge and the Whigs and Tories are wrestling for power. It’s the glimpses of this society that Gaskell provides that I found the most interesting part of the book. They are not as evident as in George Eliot’s Middlemarch published eight years later but they are there if you keep an eye open for them. Posted on December 23, 2014, in British authors, Classics Club and tagged Elizabeth Gaskell, Nineteenth century writers. Bookmark the permalink. 14 Comments. I really loved this book but wasn’t prepared for the sudden halt when I read it so I share your frustration although on balance knowing it wasn’t deliberate I had fun making up my own finale. Two days ago I picked up “Cranford” because I was drawn to the fact that it’s a book about the daily, ordinary lives of ordinary people. There is something so pleasing and comforting about such books. I would have loved to have read “Wives and Daughters”. It sounds like a tale right up my alley. But, if it’s incomplete I know I’m just not going to give it a go. Have you seen the miniseries? Not yet Guy. I wanted to read the book first. Is the adaptation any good? I loved this book, and though I was sorry that it was incomplete I did rather like deciding what characters’ fates should be for myself. She was so close to the end there wasn’t much left to guess re Molly but I’d love to know what happened to her father and Hyacinth. Did the doctor get to eat cheese again?? This sounds such an interesting book. I tend to fight shy of books over 500 pages (and particularly unfinished ones at that!) but it does sound most intriguing. Didn’t the BBC make a television serial out of this a while back? I know they did North and South (and it was wonderful). I LOVED Wives and Daughters but I agree with you that it was incredibly inconvenient for her to go and die before she finished it. Have you already read North and South? She finished it and it is so great. I enjoyed it but wouldn’t feel compelled to read it again Ali whereas I would definitely reread North and South.